Over time, carpets can suffer from a variety of problems: wrinkling, stains, tears/holes, water damage, etc. New carpeting can be very expensive. Before you start shopping for new carpets, let us show you what we can do. There are many reasons a carpet may begin to wrinkle: poor installation, humidity, or simply a backing that has lost it's strength. No matter what the reason, we can correct the problem for you! 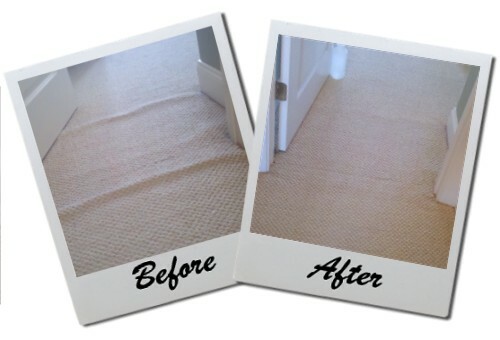 Our qualified technicians can re-stretch your carpet and you'll be amazed at the difference. Many seams come apart or become more visible over time due to poor quality seam, or incorrect installation. Whether it’s a doorway or an entire room that needs the seam replaced, we can do it. The seam tape that we use is the highest quality available and will last longer than your carpet will. 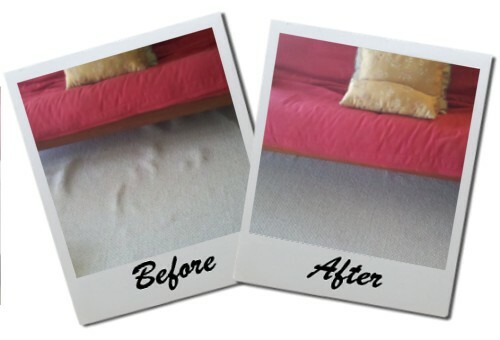 Carpet patches are an effective way to repair a damaged carpet. Whether your carpet has a hole, burn, tear or permanent stain that cannot be cleaned, a professionally done carpet patch is a cost-effective solution. Our qualified technicians will remove the damaged area of carpet and replace it with a matching piece (usually taken from a closet). Then, the piece that was removed from the closet is replaced with a matching remnant from a carpet distributor. Bleach spots, fading, discoloration, all can be repaired by our experienced and certified technicians. We first determine the amount of color loss and determine what colors are missing from the damaged area. We then use our specially designed carpet dyeing kit to neutralize the the bleach and add back the missing colors.